Today is National Handbag Day! Are you protecting your fine handbags the same way you protect art and jewelry? Do a video walkthrough of your house showing all the major items in each room and a view of each closet so your valued possessions, including your handbags, can be seen. Take photographs of your handbags showing the brand names. Keep all your handbag collection inventory information in a secure location, such as in a safety deposit box or stored with a secure cloud service provider. 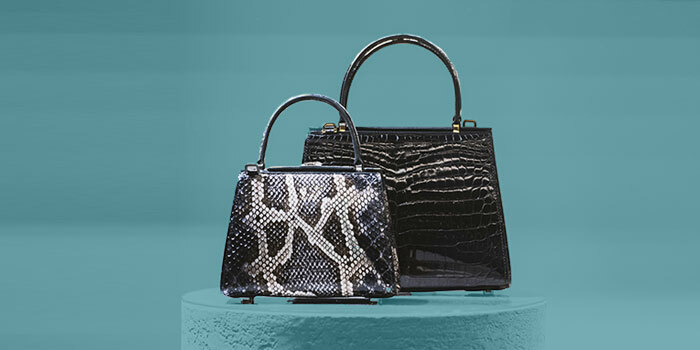 Regularly maintain and update your inventory as you purchase new handbags. There are vendors, software and applications to assist with your inventory. Contact your insurance agent to confirm your handbag collection is adequately insured. Follow these simple steps to help safeguard your passion for handbags, one of your most prized collections. Shield your handbag from spills and dirt by treating the material with fabric guard, water and oil repellant and/or leather conditioner. When purchasing, remember to ask what treatment product is recommended for use on the handbag. Avoid placing your handbag in areas where it can get soiled. For example, be careful where you put your bag while at the hair salon. If left on the floor, styling products and chemically treated clippings can land on your handbag and leave marks. When dining out, consider using a purse hook to store your handbag under the table or placing a smaller clutch behind you in your chair at the small of your back to protect from food, beverages and dirty floors? Handbags will last longer if stored the right way: out of sunlight, away from heat sources, in an upright position and ideally within their dust bags or a natural-fiber pillowcase. Never store bags in plastic or vinyl, which can trap moisture inside. Keep handles crossed over each other to avoid scratches. Removable straps should be detached and stored inside the handbag. Maintain the shape of the handbag with a handbag insert or bubble wrap. Don’t use scarves, sweaters or tissue paper, as they can attract moths. Protect the lining from stains and tears by storing cosmetics and liquids in pouches. Opt for pens with caps or keep them in pouches, as well. Handbag liners can also be used to organize and keep the interior clean. Avoid touching the bag with dirty hands or after applying beauty products, lotion or cream. Regularly rotate which handbag you use so they don’t wear out too quickly. Practice routine maintenance. Clean suede with a suede brush. Moisturize leather regularly to keep it looking good and free of cracks. Wipe your handbag with a soft cloth on a weekly basis. For stains, tears and wear beyond your expertise, take it to a handbag repair professional. Most shoe repair shops also work on handbags. They can treat it, clean it and restore its color. This article is by Nationwide Private Client and can be found here. We are happy to answer any questions you may have. Simply call us at 818-302-3060 or schedule a consultation.